Your brain knows it’s time to cook when the stove is on, and the food and pots are out. When you rush away to calm a crying child, though, cooking is over and it’s time to be a parent. Your brain processes and responds to these occurrences as distinct, unrelated events. But it remains unclear exactly how the brain breaks such experiences into “events,” or the related groups that help us mentally organize the day’s many situations. A dominant concept of event-perception known as prediction error says that our brain draws a line between the end of one event and the start of another when things take an unexpected turn (such as a suddenly distraught child). Challenging that idea, Princeton University researchers suggest that the brain may actually work from subconscious mental categories it creates based on how it considers people, objects and actions are related. Specifically, these details are sorted by temporal relationship, which means that the brain recognizes that they tend to — or tend not to — pop up near one another at specific times, the researchers report in the journal Nature Neuroscience. So, a series of experiences that usually occur together (temporally related) form an event until a non-temporally related experience occurs and marks the start of a new event. In the example above, pots and food usually make an appearance during cooking; a crying child does not. Therein lies the partition between two events, so says the brain. This dynamic, which the researchers call “shared temporal context,” works very much like the object categories our minds use to organize objects, explained lead author Anna Schapiro, a doctoral student in Princeton’s Department of Psychology. 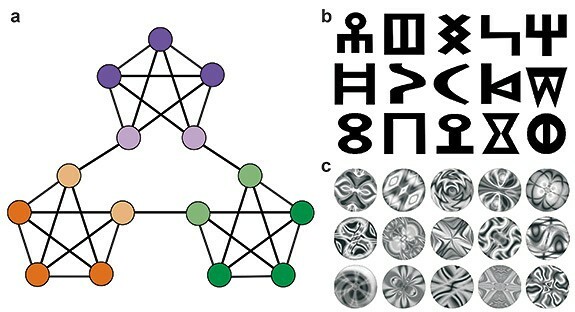 Supporting this idea is brain activity the researchers captured showing that abstract symbols and patterns with no obvious similarity nonetheless excited overlapping groups of neurons when presented to study participants as a related group. From this, the researchers constructed a computer model that can predict and outline the neural pathways through which people process situations, and can reveal if those situations are considered part of the same event. The parallels drawn between event details are based on personal experience, Schapiro said. People need to have an existing understanding of the various factors that, when combined, correlate with a single experience. “Everyone agrees that ‘having a meeting’ or ‘chopping vegetables’ is a coherent chunk of temporal structure, but it’s actually not so obvious why that is if you’ve never had a meeting or chopped vegetables before,” Schapiro said. During a series of experiments, the researchers presented human participants with sequences of abstract symbols and patterns. Without the participants’ knowledge, the symbols were grouped into three “communities” of five symbols with shapes in the same community tending to appear near one another in the sequence. After watching these sequences for roughly half an hour, participants were asked to segment the sequences into events in a way that felt natural to them. They tended to break the sequences into events that coincided with the communities the researchers had prearranged, which shows that the brain quickly learns the temporal relationships between the symbols, Schapiro said. The researchers then used functional magnetic resonance imaging to observe brain activity as participants viewed the symbol sequences. Images in the same community produced similar activity in neuron groups at the border of the brain’s frontal and temporal lobes, a region involved in processing meaning. The researchers interpreted this activity as the brain associating the images with one another, and therefore as one event. At the same time, different neural groups activated when a symbol from a different community appeared, which was interpreted as a new event. The researchers fashioned these data into a computational neural-network model that revealed the neural connection between what is being experienced and what has been learned. When a simulated stimulus is entered, the model can predict the next burst of neural activity throughout the network, from first observation to processing. Michael Frank, a Brown University associate professor of cognitive, linguistic and psychological sciences, said that the Princeton researchers uniquely apply existing concepts of “similarity structure” used in such fields as semantics and artificial intelligence to provide evidence for their account of event perception. These concepts pertain to the ability to identify within large groups of data those subsets that share specific commonalities, said Frank, who is familiar with the research but had no role in it. The model “naturally” lays out the process of shared temporal context in a way that is validated by work in other fields, yet distinct in relation to event perception, Frank said. Schapiro worked with second author Timothy Rogers, an assistant professor of psychology at the University of Wisconsin-Madison; Natalia Cordova, a Princeton neuroscience graduate student; Nicholas Turk-Browne, a Princeton assistant professor of psychology; and Matthew Botvinick, a Princeton associate professor of psychology and the Princeton Neuroscience Institute. The paper, “Neural representations of events arise from temporal community structure,” was published in the April edition of Nature Neuroscience. The work was supported by grants from the John Templeton Foundation, the National Science Foundation, the National Institutes of Health and the James S. McDonnell Foundation.